Mon. #1 is HERE. To help the website out please subscribe to Mistah MegaManFan so we can reach 1,000 (current count: 842). If you're a gamer you'll enjoy the content! Don't miss WWE Raw highlight videos later tonight! With the cheap plugs out of the way here's Monday's latest wrestling news. 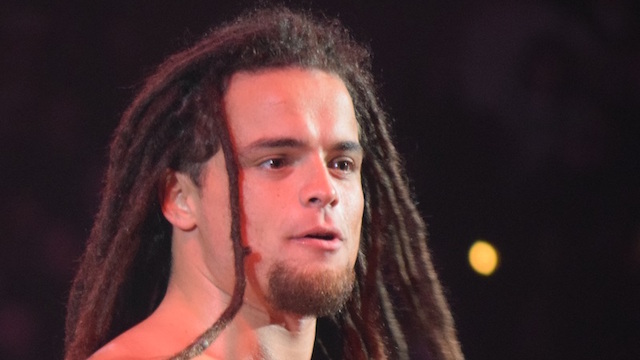 Via social media Juice Robinson has accepted Bully Ray's open challenge for the ROH/New Japan G1 Supercard. Also announced via Twitter - Kassius Ohno (Chris Hero) is appearing for Reality of Wrestling on April 13th. John Oliver did indeed take a look at WWE and their "independent contractor" relationships yesterday on Last Week Tonight. Video is below. Fightful revealed that Kenny King has signed a new two year contract with Ring of Honor. In addition they also have WWE house show results from Hershey, PA headlined by Kofi Kingston vs. Elias. * SmackDown Live Tag Team Championships: The Usos (c) def. Shinsuke Nakamura & Rusev (w/ Lana). * WWE Cruiserweight Championship: Buddy Murphy (c) def. Tony Nese. * WWE Intercontinental Championship: Bobby Lashley (c) vs. Finn Balor ends in a double count-out. * SmackDown Live Women's Championship: Charlotte Flair (c) def. Becky Lynch. Post match, Asuka attacked Charlotte Flair. * WWE United States Championship - Triple Threat Match: Samoa Joe (c) def. AJ Styles and Cesaro. * Asuka & Naomi def. Mandy Rose & Sonya Deville. * Baron Corbin & Drew McIntyre def. Seth Rollins & Dean Ambrose. * Kofi Kingston (w/ Xavier Woods & Big E) def. Elias. To make a long story short Natalya says her father Jim Neidhart REALLY wanted to be in the WWE Hall of Fame. It may be posthumous Jim but this year you finally made it in. In this interview Joey Janela talks about booking 'Fake Sting' Jeff Farmer for his Spring Break: "It's something weird that just came up and we snatched him up, and I was definitely ok with it. It was one of our most retweeted and liked announcements of them all - Jeff Farmer. It shows you what people are looking for today in their wrestling. He's going to come through and make people question 'is that Sting or is that Bogus Sting?'" 2K today announced details surrounding activity for the WWE 2K19 Million Dollar Challenge- the capstone event for WWE 2K19, the latest addition to the flagship WWE video game franchise - taking place during WrestleMania Week. Four finalists from around the world will compete - with support from WWE Superstar coaches Kofi Kingston and Big E of The New Day; Paige; Ember Moon and The Miz - for the opportunity to challenge WWE 2K19 cover Superstar AJ Styles to a one-on-one match in the video game with $1 million on the line. FOX Sports digital platforms, including FOXSports.com, FOX Sports App, Caffeine TV, Twitter, Facebook and YouTube; WWE Network and WWE on YouTube; WWE 2K on Facebook and Twitter; The finale can also be watched on-demand on USANetwork.com. "Embracing 'Never Say Never' - the campaign theme for WWE 2K19 - is exactly what these finalists have accomplished in the virtual ring," said AJ Styles. "My journey as the game's cover Superstar has been absolutely incredible, and it's all now leading to an epic showdown at Barclays Center, with the WWE Universe able to watch all the action in a variety of ways. The WWE 2K19 Million Dollar Challenge finale will be nothing short of phenomenal." Following the launch of WWE 2K19 in October 2018, the WWE 2K19 Million Dollar Challenge saw fans from around the world - including the Americas, Europe and Asia Pacific - enter the competition. After completing the in-game WWE 2K19 Million Dollar Tower and submitting promotional videos highlighting how they could potentially defeat AJ Styles in a one-on-one matchup, Gregory Davis from Jacksonville, Fla.; Stephan T. Benson from Philadelphia, Pa.; David Hoey from Sydney, Australia and Roman Drobard from Pfalzfeld, Germany were selected from all global entries as the competition's four finalists heading to WrestleMania. "As WrestleMania approaches, we can't wait to watch our four finalists compete - with the help of their WWE coaches - for incredible bragging rights and a potential match against AJ Styles on a massive worldwide stage," said Chris Snyder, Vice President of Marketing for 2K. "The WWE 2K19 Million Dollar Challenge is sure to deliver an authentic and action-packed experience; get ready for the ultimate showdown in person or through our offerings with Fox Sports, NBCUniversal, WWE and 2K-owned channels!" This sounds omimous -- Tommaso Ciampa says he's on "borrowed time" if/when he makes his return to the ring. Shane Strickland's final indie match will be at WrestleCon's Pancakes & Piledrivers. 3:00 PM ET. Brutus "The Barber" Beefcake is the final member of the 2019 WWE HOF class. Shortly after WWE's revelation si.com/wrestling/2019/04/01/brutus-barber-beefcake-final-wwe-hall-fame-inductee Brutus was interviewed by Sports Illustrated. Speaking of the Supercard here's a new video. The first ROH Recruitment Combine of 2019 will take place on Saturday May 4 and Sunday May 5 at the ROH Dojo in Baltimore, MD! The Combine is open to any current pro wrestler with at least one year's experience. Each attendee is responsible for their own transportation to and from the ROH Dojo, and any necessary lodging. The ROH Dojo is conveniently located just by BWI Airport with plenty of lodging and car rental options. The $300 registration fee includes each day's activities plus lunch and critique by the ROH staff. The fee covers both days and there are no refunds issued if you don't attend both days. Attending both days is crucial to get the full benefit of the teaching and feedback. We will get a complete look at the talent, and then detail for them either what they're doing right, or what they need to improve on to make it in Ring of Honor and/or to become an all-around better wrestler. Due to the overwhelming response to these seminars, we have limited enrollment to just 20 applicants to ensure each individual receives personal attention. A new Being The Elite is below. 5:00 PM ET. WWE related videos have been updated. Meanwhile Mercedes Martinez has confirmed she bruised her ribs at SHIMMER over the weekend. Here's thewrap.com/seth-rollins-brock-lesnar-wwe-wrestlemania-35-curb-stomp-the-shield/ a new Seth Rollins interview for those interested. Here's wrestlinginc.com/news/2019/04/chris-dejoseph-on-what-it-like-to-write-wrestlemania-652603/ another Chris DeJoseph interview for those interested. Apparently Noam Dar's last knee injury was so serious he nearly had his leg amputated. Jesus.